Policies must ensure an adequate funding level for all students that is distributed in a way that ensures equity. Nationally, discussions and policies around funding formulas for K-12 systems are shifting from a focus on equal funding across districts to considerations of equity. The equity approach takes into account that it simply costs more to educate some students than others. For example, low-income students tend to start school academically behind, requiring additional academic supports, extra learning time, and potentially outside services related to social services or foster care. Education Week publishes an annual assessment of state education policy, including the area of school finance. Their analysis examines both education spending patterns and the equity in the distribution of funding across the districts with each state. 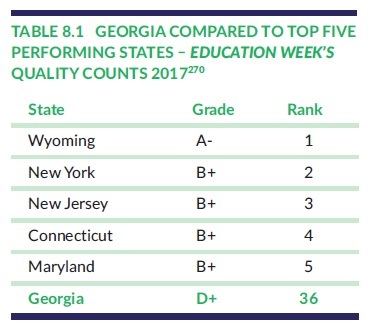 In 2017, Georgia received a D+, placing the state 36th in the nation for K-12 finance policies taking into account overall funding levels and equity. 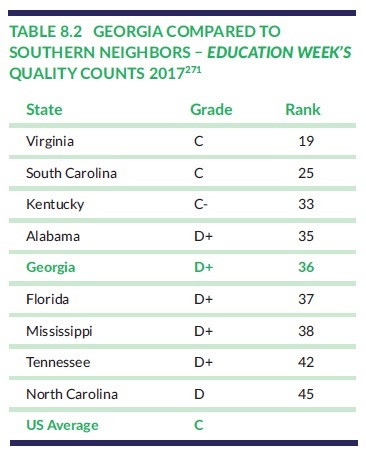 Georgia ranks behind four of the other Southern states. This site contains policy briefs based on best practice research of the world’s top-performing education systems. Education Week conducts an annual assessment of state education policy, including the area of school finance. This analysis examines both education spending patterns and the equity in the distribution of funding across the districts within each state. The Education Trust – The Education Trust is a nonprofit organization that promotes closing opportunity gaps by expanding excellence and equity in education for students of color and those from low-income families from pre-kindergarten through college. Through research and advocacy, the organization builds and engages diverse communities that care about education equity, increases political and public will to act on equity issues, and increases college access and completion for historically underserved students. 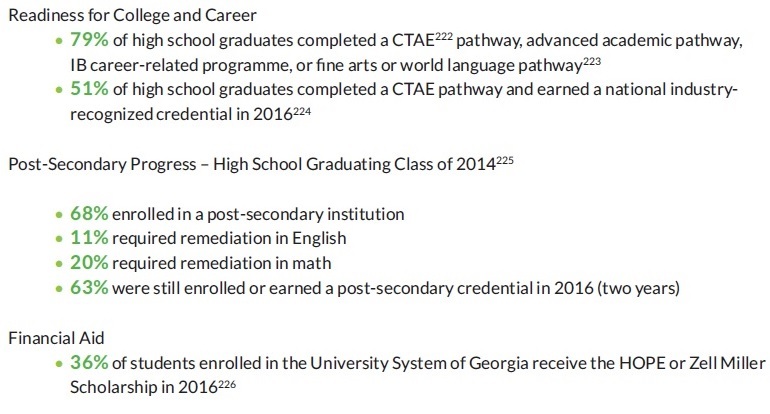 Report that examines all states funding formulas and assessments of their adequacy and equity. Bruce Baker is an economist who focuses on education. Kirabo Jackson is an education finance expert who has done several prominent studies on education funding. FundED – Interactive web tool to aggregate and standardize information regarding education funding laws. Pass funding reform legislation that allows for greater flexibility to target resources to district need. Consider both equity and adequacy in funding decisions. Conduct a study to determine actual costs associated with supporting student achievement, and use the results to guide state and district policy. 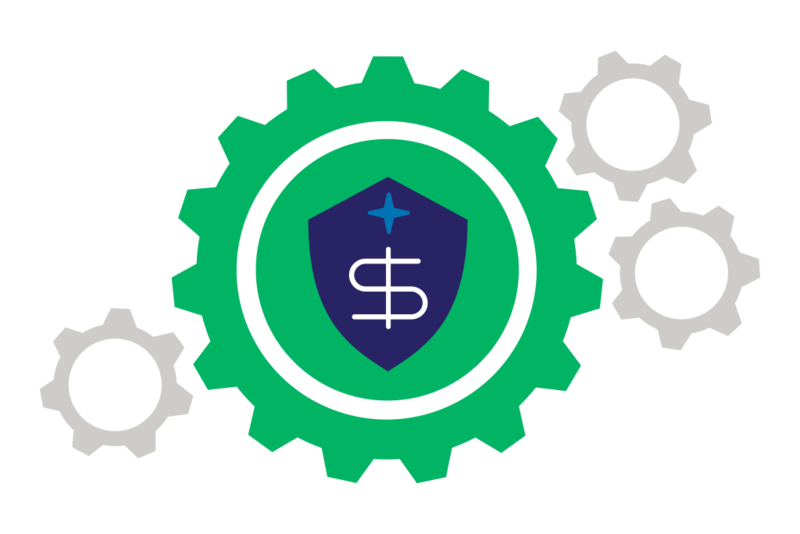 Provide districts resources to uniformly track expenditures to the school level. Initiate a process to evaluate local school and district expenditures.